Danny Sandoval is program associate and office manager at CHCF’s Sacramento office, managing all office and administrative needs. 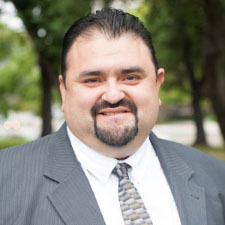 Sandoval serves as a liaison to legislative, state department, and stakeholder staff, and also coordinates logistical support for CHCF’s Sacramento Health Policy Briefing Series. Prior to joining CHCF, Sandoval was assistant secretary to the Assembly Committee on Health. There, he processed bills and managed amendments as they made their way to the governor. His previous experience includes work in computer hardware and as executive assistant to the president of Business Design Associates, a workflow management consulting firm. Sandoval attended Chabot College in Hayward, CA.